Frogs don't mind the rain one bit. 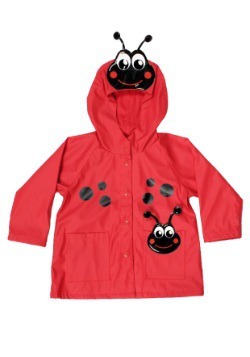 In fact, they do love to do a little splashing every now and again! 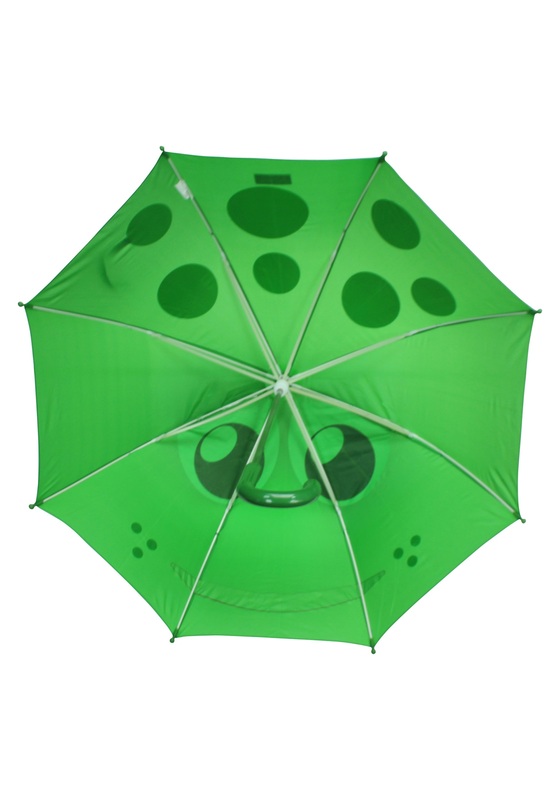 That's why this Green Frog Umbrella is perfect for wet weather and rainy old days. 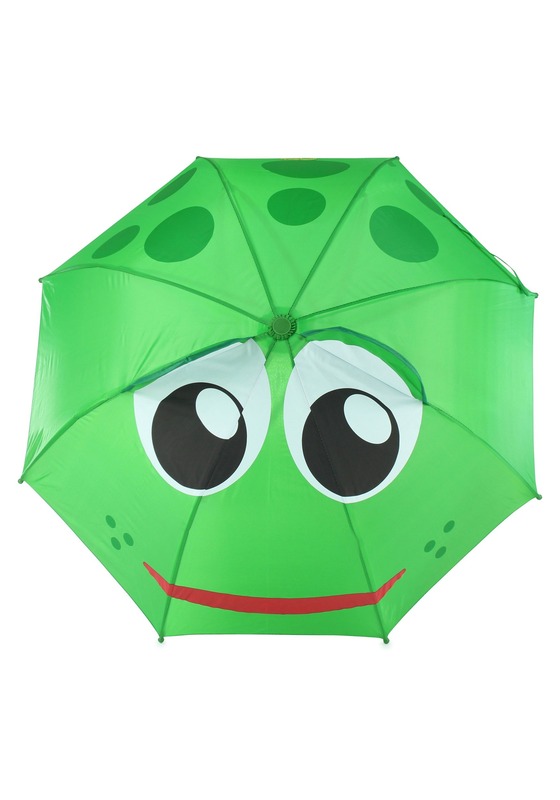 It's designed to look like a frog head and it just loves to be opened when it's raining out. It has frog eyes and a little smile to spread a little cheer. 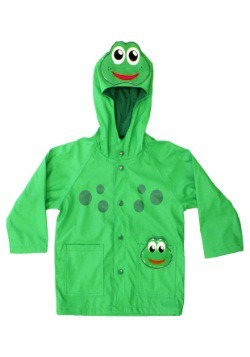 It's also a cute way to keep your kid dry when it's storming outside. 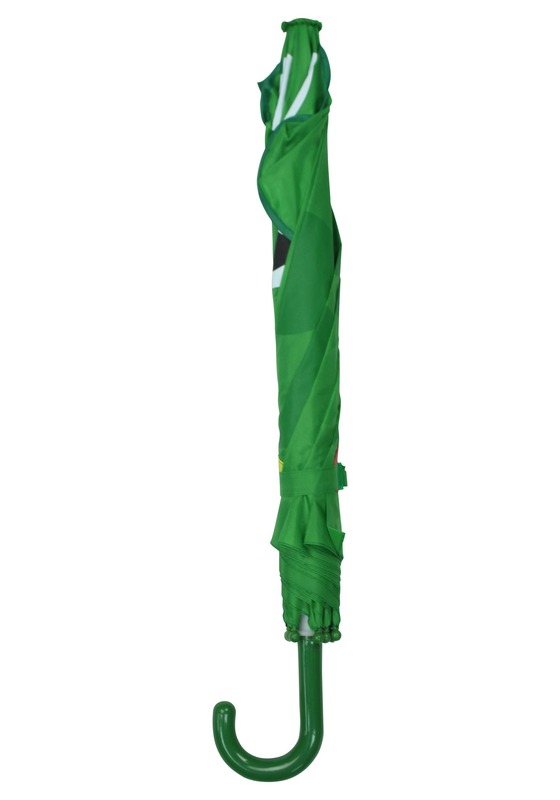 This umbrella has a polyester canopy with fun raised eyelids for a cute effect. 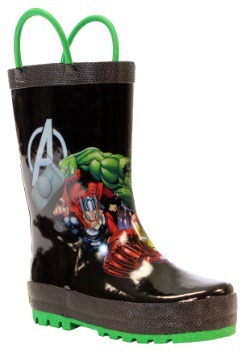 Any child is sure to love using this accessory on a rainy day. 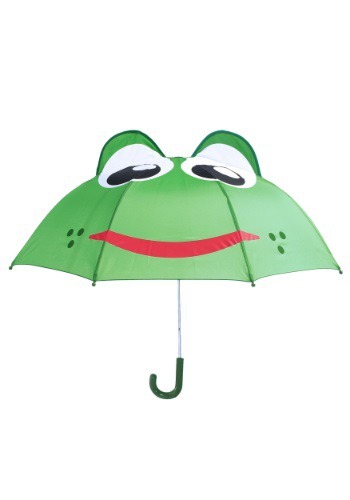 Because there's no such thing as rainy day blues when you've got a cute frog to brighten up the mood! 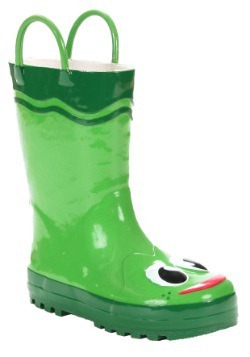 Get this unique accessory to complete any child's rain gear set. It's sure to get some smiles! Standard - $16.99 Only 1 left!